The award ceremony, which was held on Tuesday, April 9th, at the 2019 NAB Show in Las Vegas, honors content in all lengths and forms from over 50 countries. Embracing all aspects of the Television and Film industries, categories mirror today’s global trends and encourage the next generation of story-tellers and talent: Animation, Comedy, Corporate Image, Digital Short-Form, Drama, Documentary, Esports, Feature Films, News, Promos, Reality TV Drama, Sports, Telenovelas, Best Performance by an Actor/Actress, Special Event, Innovation, Technical Production Team, CSR, Best Screenplay, Video Art, Best Host and Use of Technology. 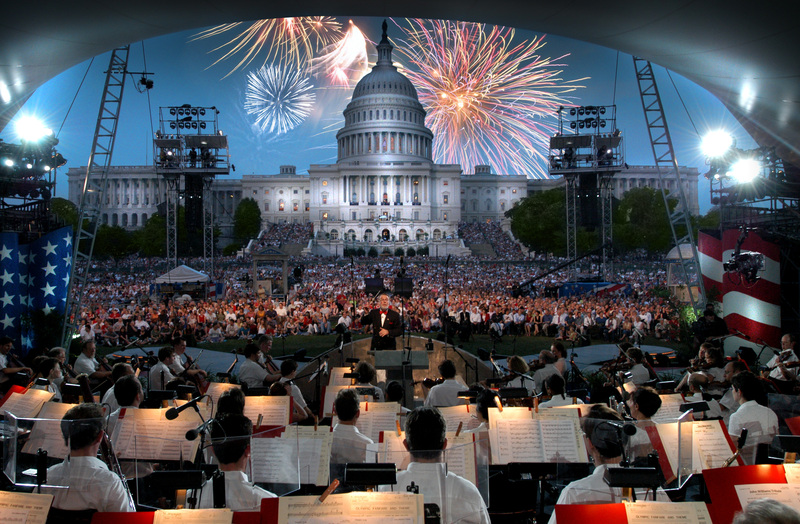 Each program broadcasts live nationwide on PBS from the West Lawn of the United States Capitol before a concert audience of hundreds of thousands with millions more globally via the American Forces Network to our troops serving around the world. The programs are a co-production of Michael Colbert of Capital Concerts and WETA, Washington, D.C. They feature an award-winning production team that includes the top Hollywood talent behind some of television’s most prestigious entertainment shows including the GRAMMY AWARDS, COUNTRY MUSIC AWARDS, TONY AWARDS, SATURDAY NIGHT LIVE, and more.